Charles is responsible for managing all phases of project development. His duties include coordination of staff of various departments within the company as well as developing design criteria, conducting feasibility studies and financial analysis, contract administration and overseeing technical quality. Charles joined our construction department shortly after his graduation in 1970. 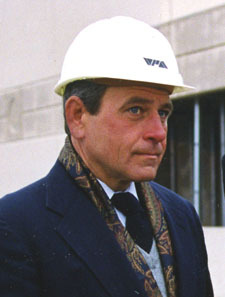 Starting as field assistant, he held positions of Job Superintendent and Project Manager before being appointed Vice President in 1978, and President in 1985. Working closely with Victor Paulius on the implementation of the firm’s Tilt-Up Construction concept, Charles has become recognized as an expert in this field. He has also been instrumental in establishing the firm in the Cold Storage Construction field.